Q: Will these LED replacement bulbs fit my vehicle? 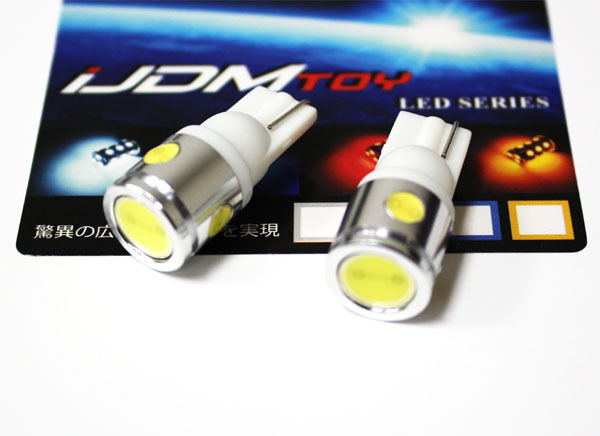 A: For miniature wedge/plug-in type bulbs, there are T10, and T15. Please take a look at the pictures below to see which one you have. You can also use Osram Bulbs Size Guide and shop by the bulb size as well; we recommend using both methods to find out what size you need. Q: If I install these LED replacement bulbs on my European car, would they cause any error messages on the dashboard? These LED bulbs are "Error Free" for the European cars without triggering bulb out warning message on the dashboard. Q: My LED replacement bulbs do not light up when I install them, is there a troubleshoot? 1) Take the bulb out, flip it around 180 degrees, and try again. LED bulbs are polar sensitive so they will only light up when installed one way. 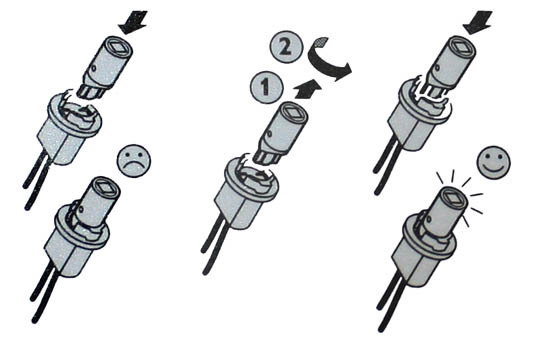 2) Pull the pins on the bottom of the bulb out and to the side. 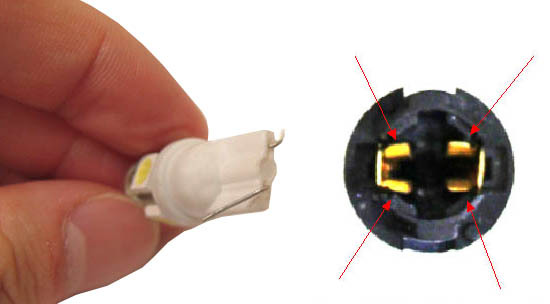 More detail about the LED bulbs troubleshooting can be found at LED Bulbs 101. Q: How do I install these LED bulbs onto my vehicle? 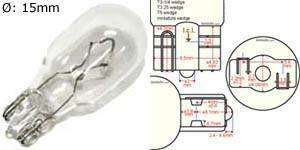 A: We have a very large collection of installation guides for various LED bulbs we carry, please visit our Tech Support/Install page to see all of them (including LED interior lights installation, LED license plate lights installation, LED parking lights installation, LED backup reverse lights installation and more). Please keep in mind that we may not have an installation guide for every vehicle out on the road, but the general concept can be universally applied. 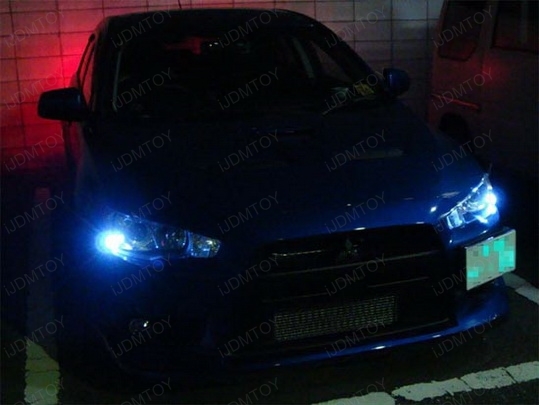 This page features a pair Brand New JDM 2W 360 degrees High Power T10 LED bulbs. 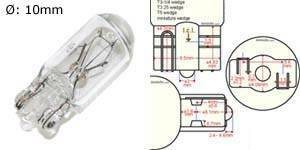 This High Power LED bulb has length of 1.05 inches and diameter of 0.47 inches which can fit MOST 168, 194, 2825, W5W wedge light housings. 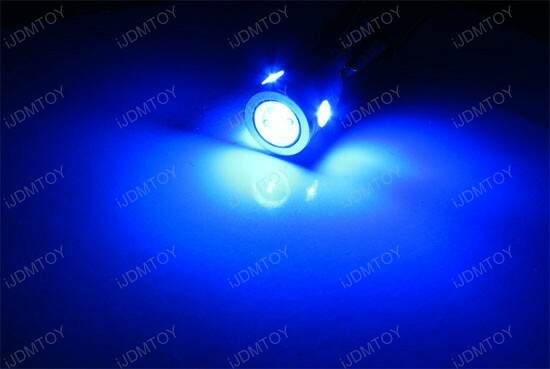 We carry this High Power LED bulb in Ultra Blue. In case the High Power LED bulb won't light up, simply turn it 180 degrees and plug in again. The bulbs will generally fit for the Manufacturer No. W5W, 2825, 2827, 158, 161, 168, or 194, etc. Just installed on my 2006 STi. 100 times better than even sylvanias I purchased that claimed to be brighter than stock. These are exactly what I was looking for. Very comparable, maybe even a little brighter, than what you'll see stock on new Lexus' etc.